Last weekend I was in Sonoma County, California conducting research for a book project. Driving along the Russian river to Fort Ross California State Park one is drawn to making comparisons of the area with Alaska. Two hundred years ago the Russian American Company operated a colony on the grounds of the coastal Kashaya village of Metini. Countless Native people from the Alaska region (and elsewhere) made their homes in the village. 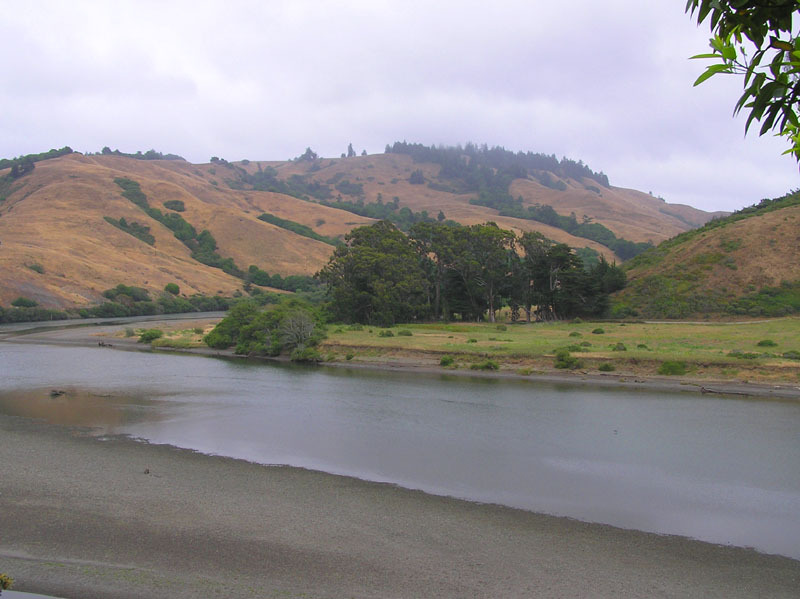 The journey to Fort Ross includes some time spent along side the Russian river. The Russian river in Sonoma always makes me think of the Russian river in Kodiak. If one cares to look, Alutiiq history is rich in California. 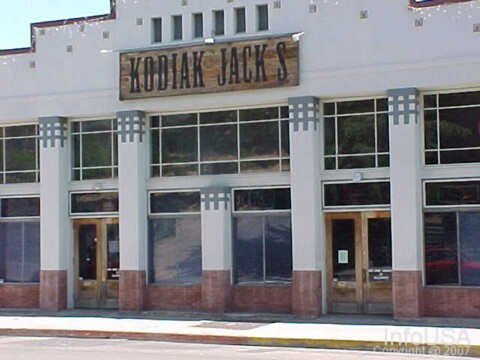 In Petaluma, there was even a country-and-western-themed bar named "Kodiak Jack's," which closed July 2012. 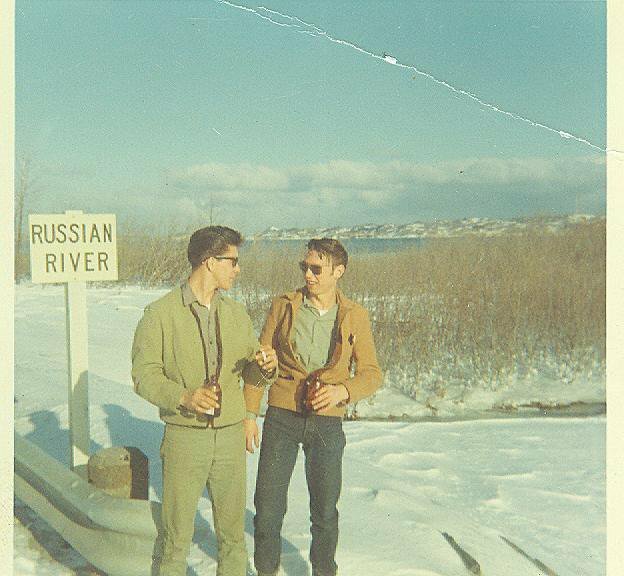 Here is a photograph, from my personal collection, of some Alutiit out having a cold one near Kodiak's Russian river in the 1960s. Fort Ross' reconstructed Russian national military architecture made of fine redwood proves beautiful. I greatly enjoyed walking the grounds as the morning fog lifted away. Whenever I am there I can't help but to examine the horizon out in the pacific and wonder what my ancestors thought when they were here 200 years ago. Also, Pushki (Heracleum maximum) grows in Sonoma. 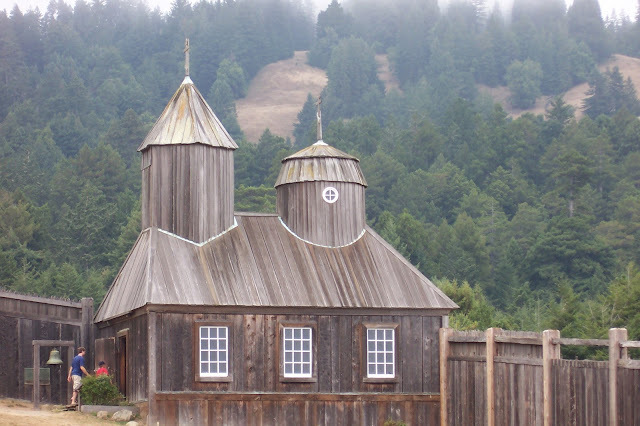 There was a festival at Fort Ross last weekend and outside the tiny remade Russian Orthodox chapel at the Fort a representative from a local parish stood next to a small table of icons. She spoke to visitors about the history of the faith in the region. Any parishioner of Russian Orthodoxy would be struck by the chapel's humble interior. The table was free of a St. Peter the Aleut icon. Peter was a Kodiak Islander who was murdered in the area two hundred years ago and canonized in the Russian Orthodox church by St. Herman back in the nineteenth century. With his veneration occurring around 1865 he was the first Native American saint. As of 1980 he became the patron of San Francisco, strangely enough. In his History of California Hubert Howe Bancroft argues that St. Peter was more or less a myth. Other scholars such as Raymond A. Bucko have asserted that there is a case for believing St. Peter existed and the story of his death is quite plausible. A brief summary entails the Californios capturing a party of Alutiiq hunters. As a captive, Peter refused to renounce his faith in the church, a resistance for which he lost his life. 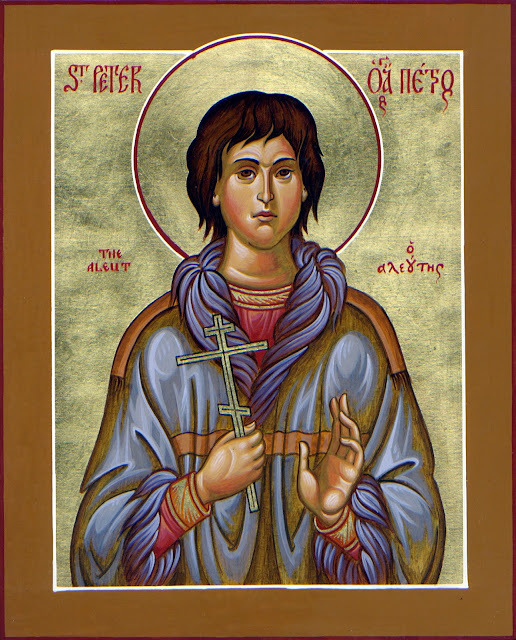 An account written by Simeon Janovsky attests to Father Herman, upon hearing about the death, apparently "stood up before an Ikon reverently, made the sign of the Cross and pronounced, 'holy newly-martyred Peter, pray for us!" When I was at Berkeley, I used to visit Fort Ross to feel like I was home in Southeast Alaska again...Sitka in the architecture, Rie Munoz cards in the gift shop! Thanks for teaching me about St. Peter. Love the 1960s photo. Hi Emily, Thank you for your comment. That's funny that you'd go up there to feel at home because during graduate school I'd often camp around there as well. I find the Sonoma area awesome and it reminds me of home. Hope you are enjoying Colorado! Thomas Michael Swensen, proprietor. Awesome Inc. theme. Powered by Blogger.